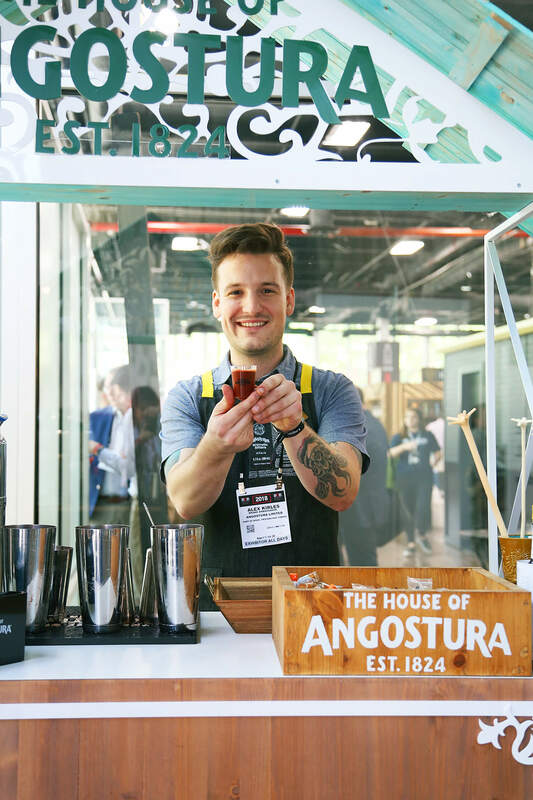 Last week I had the pleasure of spending the day with ANGOSTURA bitters at Bar Convent Brooklyn (BCB). 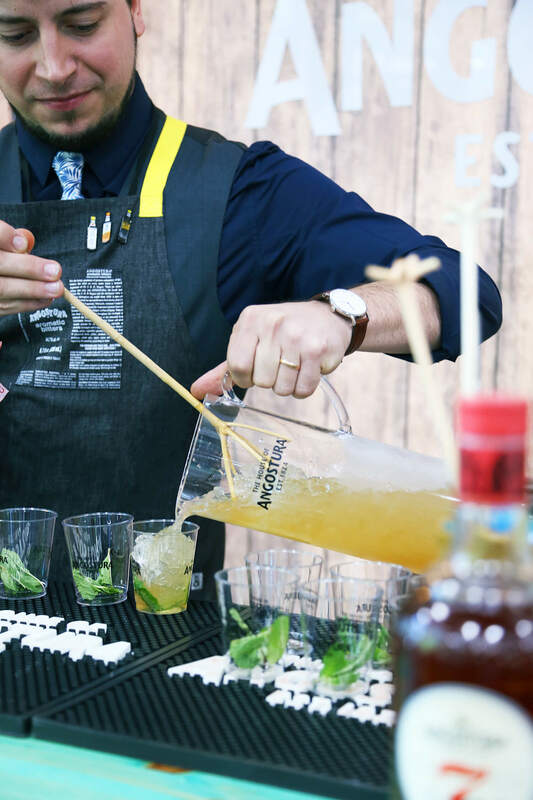 The Bar Convent started as a small industry meeting in Berlin and quickly became one of the most important international bar & beverage trade shows. This year the show expanded to Brooklyn, NY and I was so happy I got to experience it alongside a brand that I truly love. 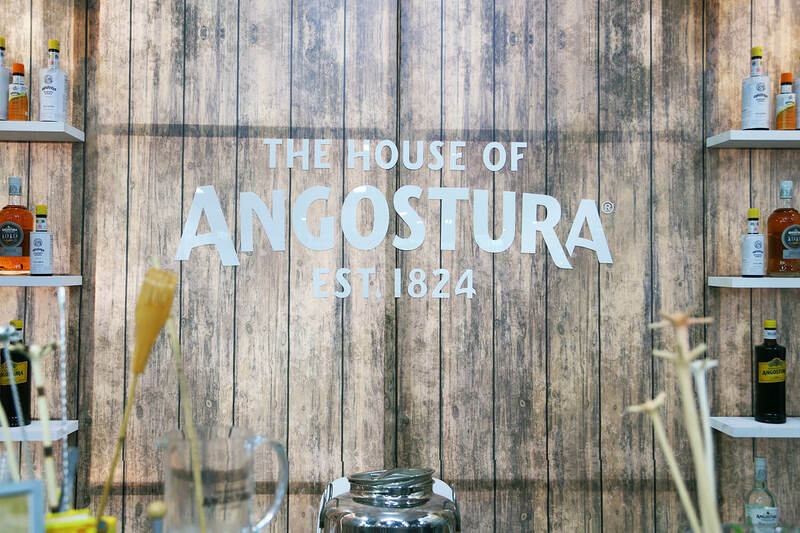 The House of Angostura, based in Trinidad and Tobago, has been blending bitters for more than 190 years. 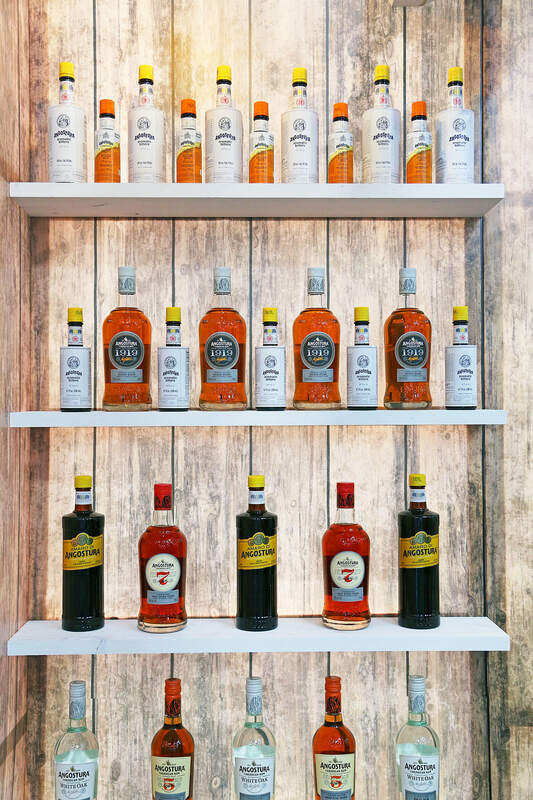 They also have been producing fine rums for 130 years, mastering the art of aging and blending. 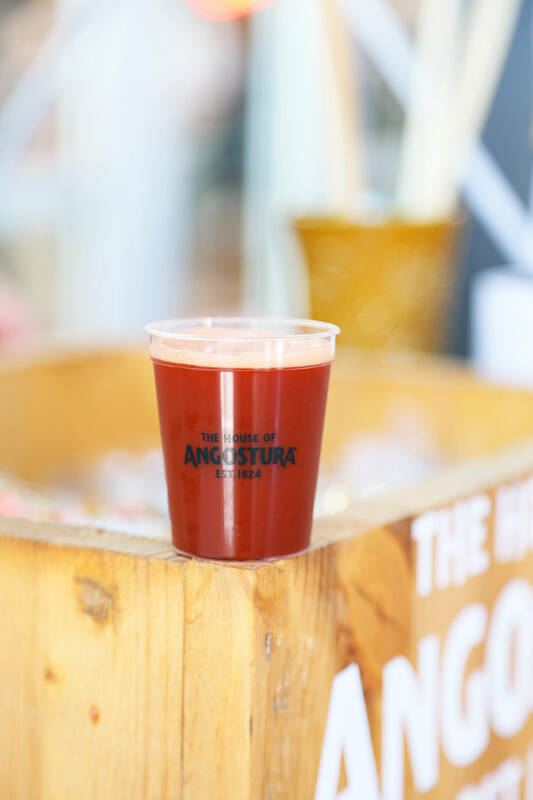 ANGOSTURA bitters are made with the same secret recipe that was developed in 1824 by Dr. Johann Sieger. 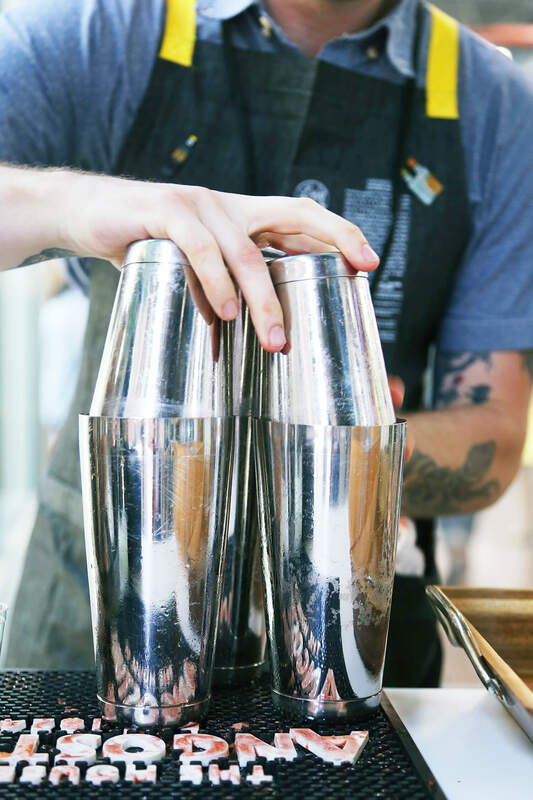 They are an essential ingredient in so many classic cocktails, which is why they’re so crucial to the beverage industry. 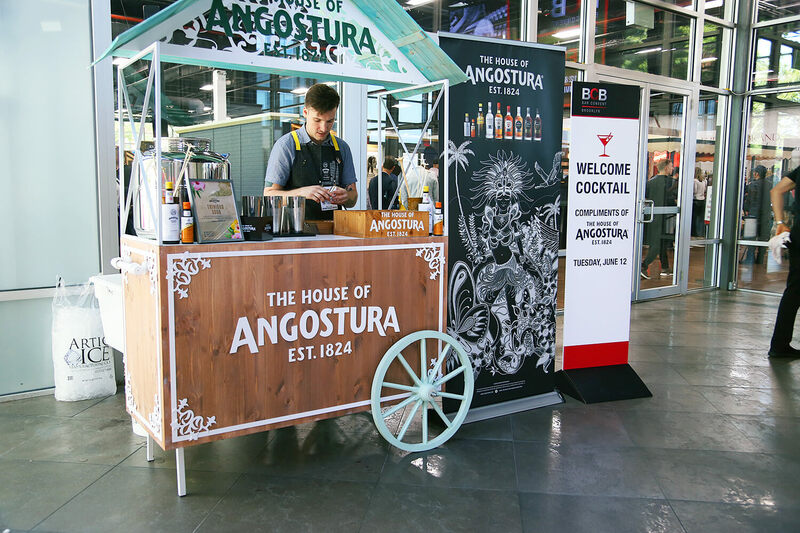 ANGOSTURA bitters are recognized as the world’s first and best-selling cocktail bitters. 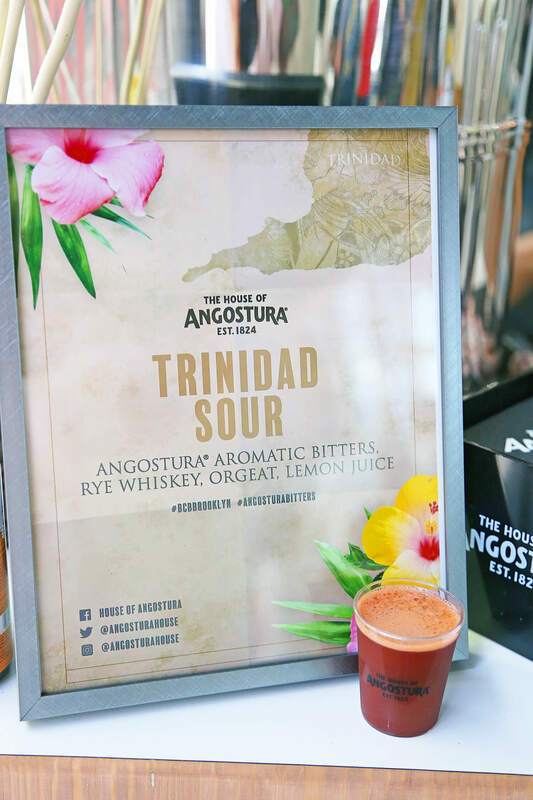 At the door, I was greeted by the ANGOSTURA welcome cart and a delicious sample of the Trinidad Sour. This drink was created in 2009 by NYC bartender Guiseppe Gonzalez at the one and only Clover Club in Brooklyn, NY. 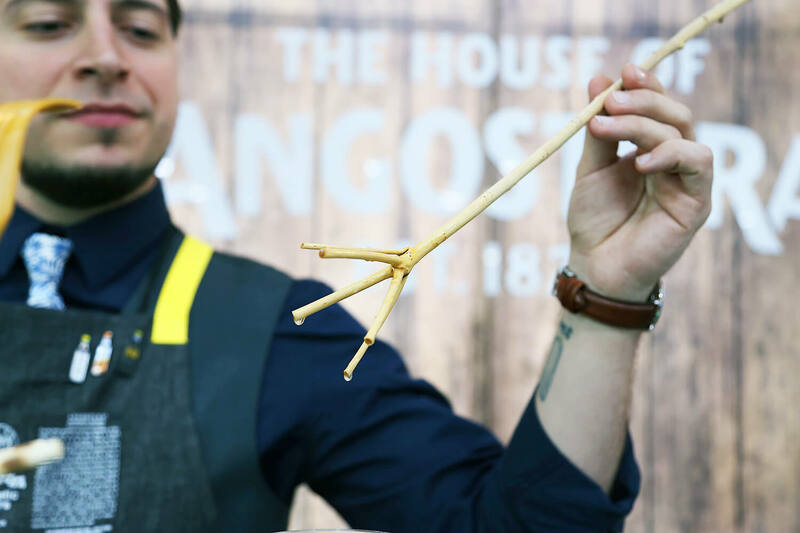 Alex Kirles, the House of Angostura US Brand Ambassador, was shaking this little concoction up. A mix of ANGOSTURA aromatic bitters, rye whiskey, orgeat, and lemon juice. 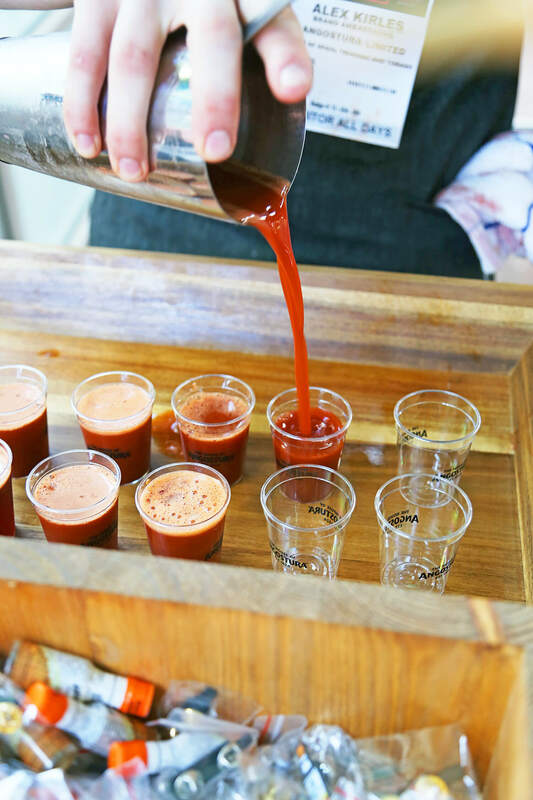 This drink packs a punch because it contains over an ounce of the bitters! The Trinidad Sour is a great way to start or end a meal, or in my case, start the day! 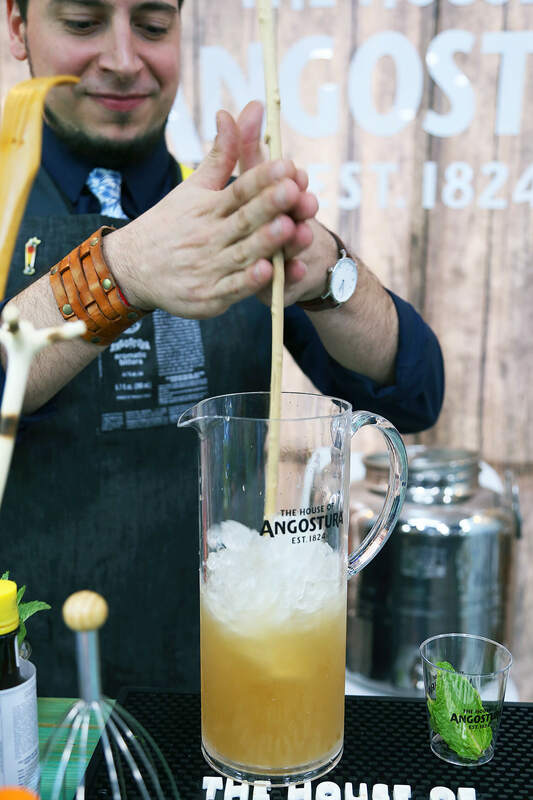 At the ANGOSTURA booth they were mixing up one of my favorite drinks of all time; the Queen’s Park Swizzle. This is a drink I’m quite familiar with as I used to crank these out behind the bar when I worked at PKNY. I also still make a ton of these at Dutch Kills. The best way to describe this drink is a fancy mojito, but in my opinion, way better. 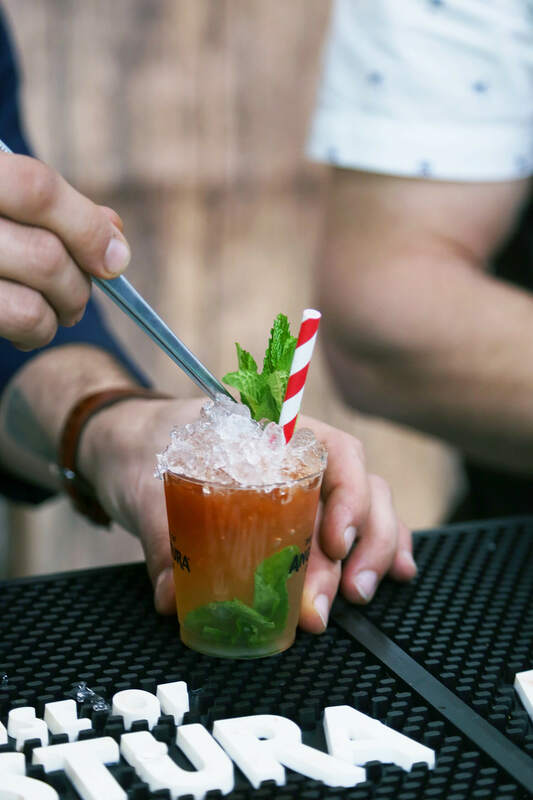 The Queen’s Park Swizzle got its name from the Trinidadian hotel where it was first concocted in the 1920s. 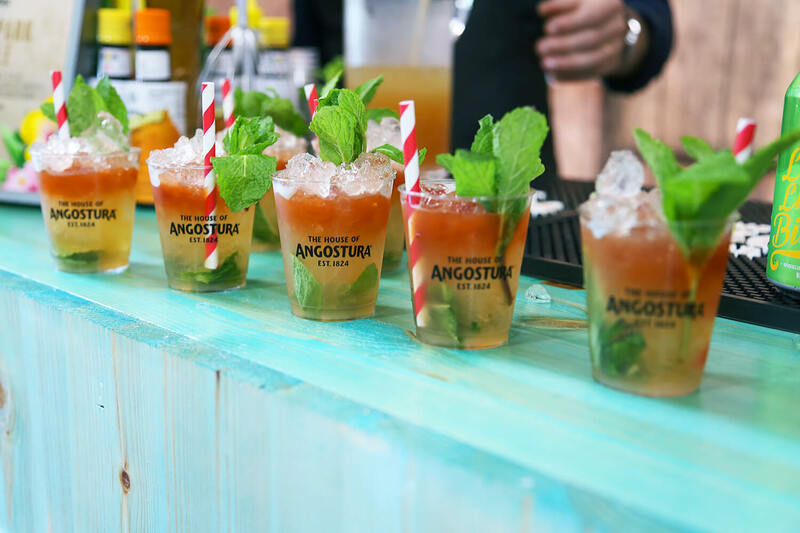 It includes ANGOSTURA 7-year-old Rum, demerara syrup, lime juice, mint, and the essential ANGOSTURA aromatic bitters. The last cocktail of the day was the Amaroni. This cocktail included Amaro di Angostura, gin, sweet vermouth, and ANGOSTURA orange bitters. 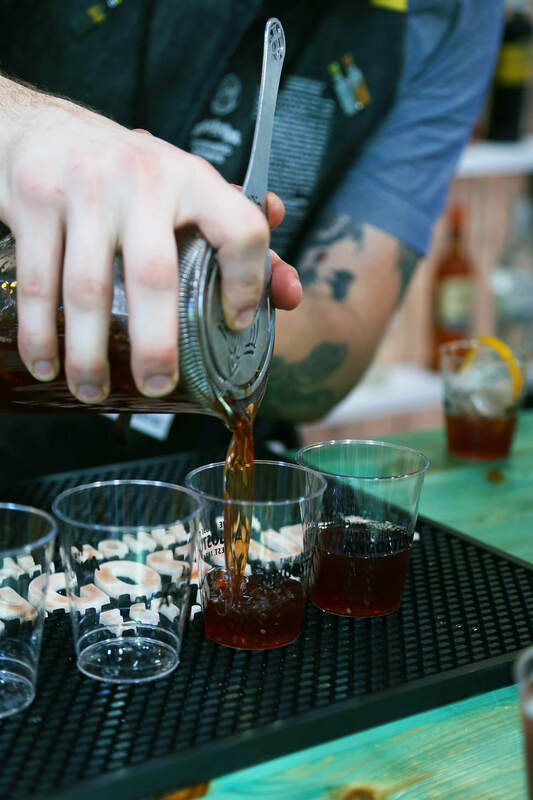 I loved this one because it’s a variation on one of my favorite classics, the Negroni. 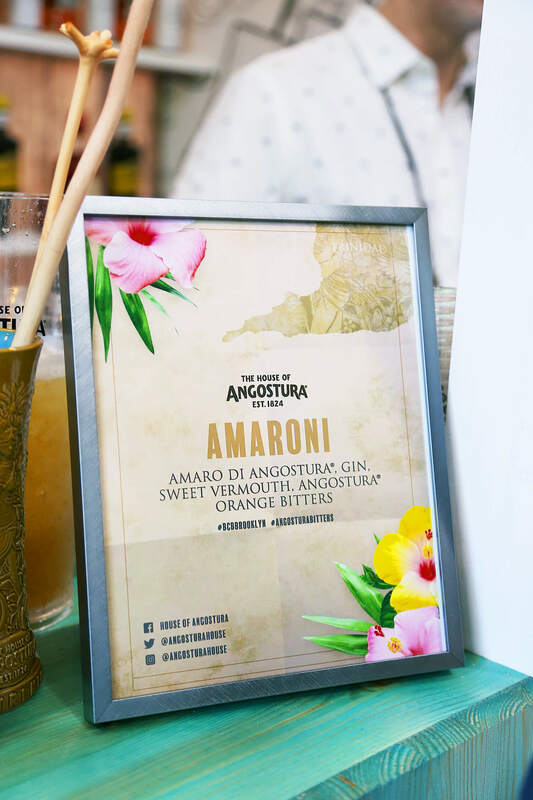 Amaro di Angostura launched in 2014, to celebrate the company’s 190-year anniversary. 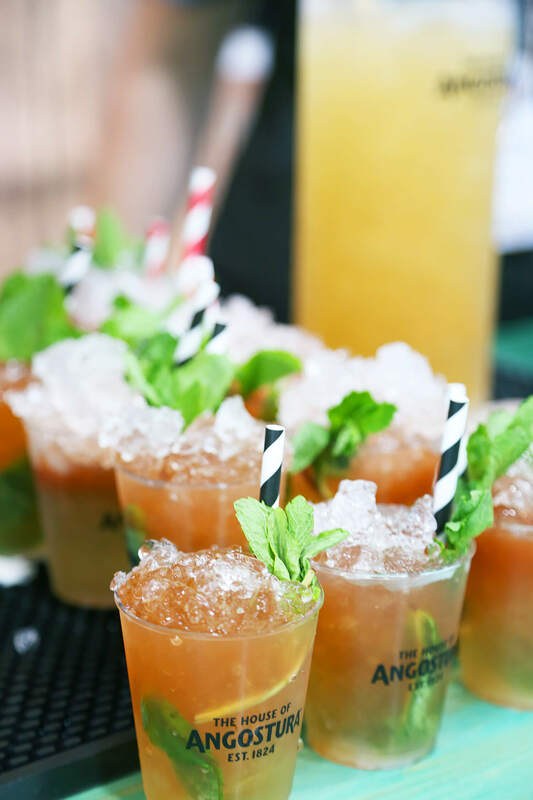 I love the use of ANGOSTURA orange bitters in this cocktail because it adds zesty tropical orange notes and spices. 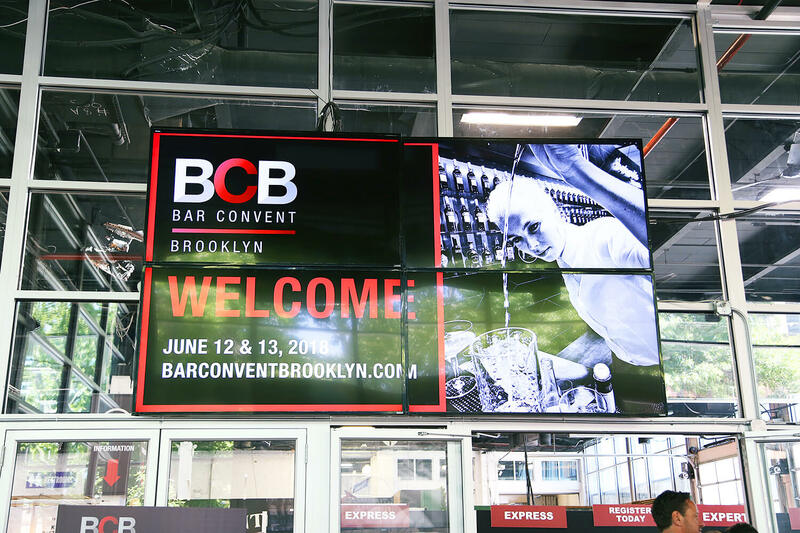 I really enjoyed my time at Bar Convent Brooklyn and I can’t wait to go again next year. It was nice to see so many premium brands and explore the newest trends and products. Not to mention network, share knowledge, and learn! 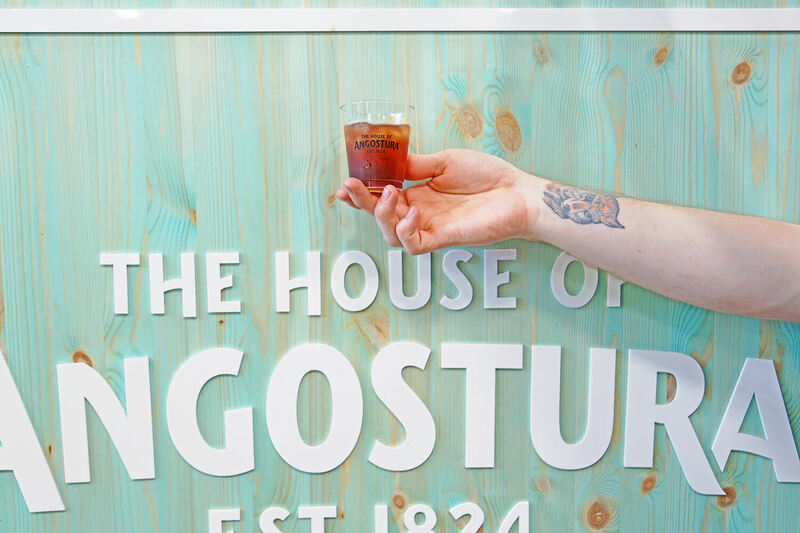 I think my favorite Angostura fact that I learned was hearing about the legend of the oversized label. Which I have to say, I’ve always wondered about! 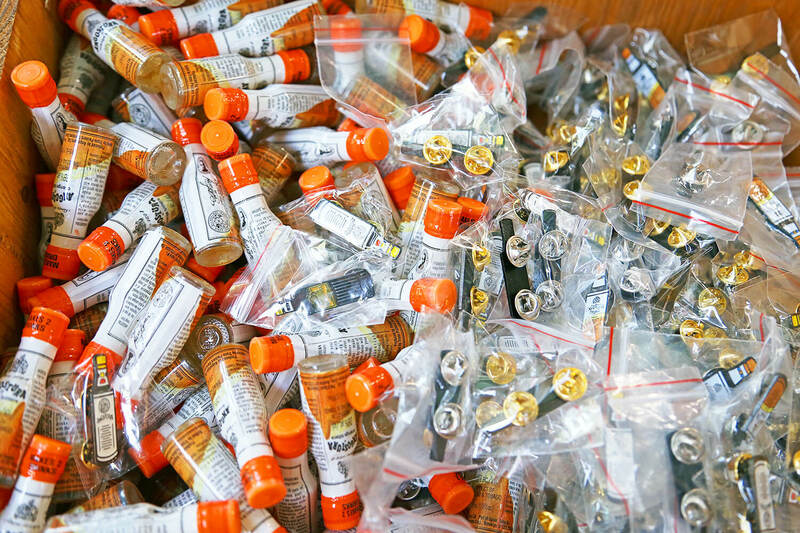 Apparently, Angostura bitters’ too-big label came into being when the Siegert brothers divided tasks. One brother was responsible for labeling, and the other was responsible for bottle sourcing. The two miscommunicated, resulting in a mistakenly oversized label that to this day remains the brand’s signature. 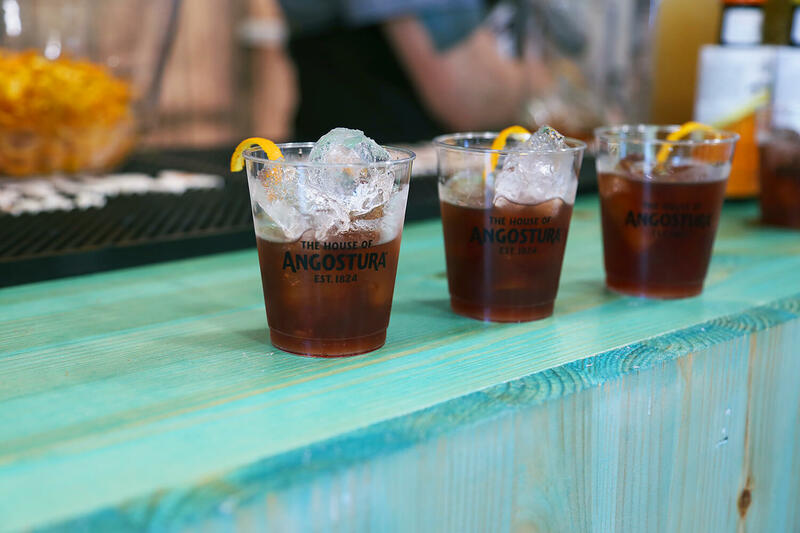 It’s been so nice to share a behind-the-scenes look at my BCB experience with Angostura. 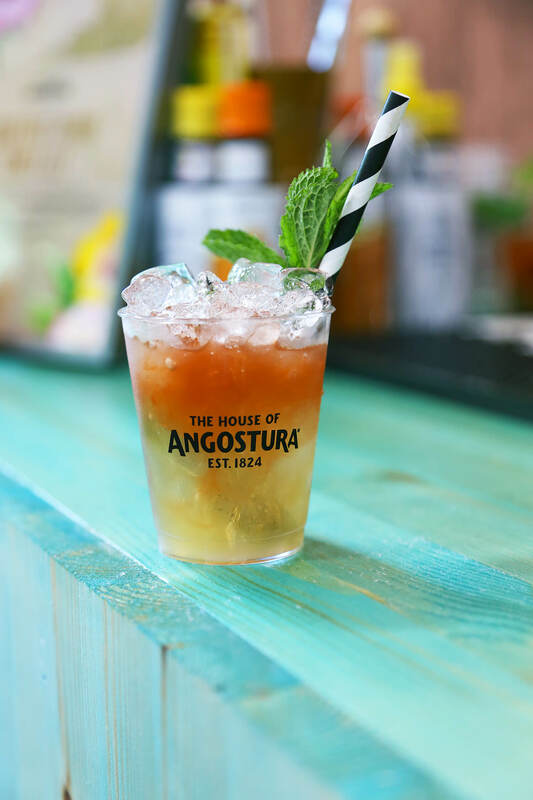 What is your favorite cocktail with Angostura bitters? Would you think about going to Bar Convent Brooklyn next year? If you do, I will definitely be seeing you there because I would not miss this event for the world. Cheers everyone! 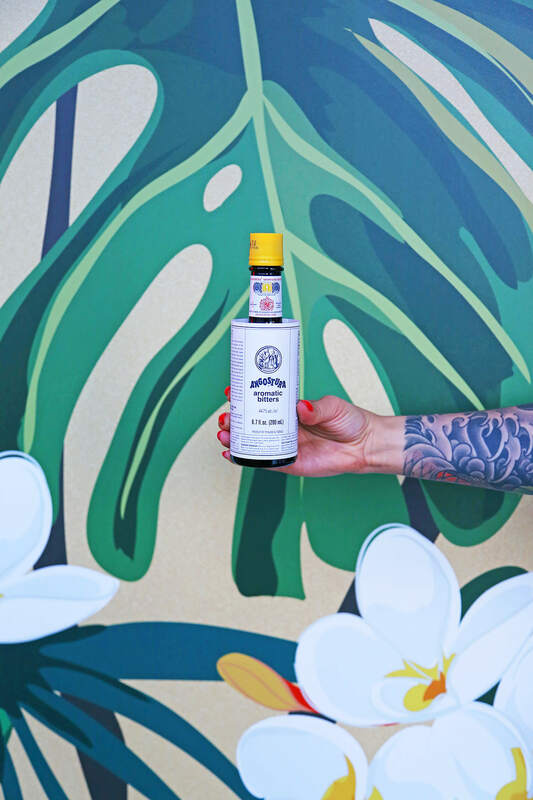 If you haven’t tried Angostura bitters you can purchase at liquor retailers nationwide and learn more here.